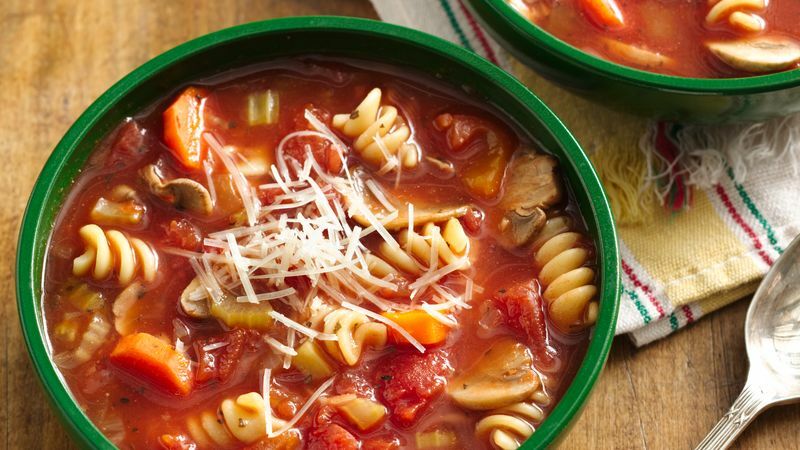 Keep these slow-cooker soup and sandwich duos in your back pocket to make cold-weather dinner planning a walk in the (snow-covered) park. Why it works: This velvety squash soup teams up beautifully with a cheesy-ranch BLT on the side. Prepared ranch dressing and turkey breast from the deli make this sandwich come together fast. Why it works: Supplement the Southwestern flavors of this hearty soup with a versatile quesadilla made with Old El Paso tortillas, cheese and bacon bits. Feel free to mix up the quesadilla fillings, depending on your family’s preferences, and don’t forget to serve extra salsa on the side! Why it works: Keeping this soup chunky allows the delicious potato flavors to shine through. (It’s no wonder it’s a Betty fan favorite!) Serve it with a hearty ham and cheese wrap for a deliciously filling dinner. Why it works: French onion soup gets even more depth thanks to an extended cook-time in the crock. Enjoy it with a prep-ahead roast beef sandwich for a fuss-free, yet fancy-feeling supper. Why it works: The rich flavors of sherry, cream cheese and chiles elevate this chicken-corn chowder to soul-warming status. Offering a traditional club in skewer form on the side makes the stacked sandwich easier for little mouths to eat. Why it works: The holy trinity of celery, carrots and onions are supplemented by nutty wild rice and smoked turkey in this rib-stickin’ soup. Pair it with a crispy grilled focaccia sandwich, filled with melt-y mozzarella and juicy pear. Why it works: This pairing combines two Italian classics: minestrone soup and a muffuletta sandwich. Piled high with texture and layers, this chicken sandwich is the star, and the veggie-packed, tomato-based minestrone is the perfect accompaniment. Why it works: In search of big flavors? Then this match is made for you. Big hunks of beef in the soup hold up nicely against the robust roasted garlic in the sandwich spread.